Managing the heating and cooling expenses in your commercial building can be an ongoing struggle. This is why it is important to make sure that you make good initial choices in your commercial insulation. You have many options and decisions to make which can greatly affect the insulation properties in your building. Here’s a look at a few things you need to keep in mind. While you have to set a budget and stick with it, you should also keep in mind that when it comes to commercial insulation, you pretty much get what you pay for. If you are trying to focus too much on saving money, chances are you will get a cheap, ineffective insulation. However, going with the best may not be the best trade off because you may not be saving enough to justify the expense. You should always go with the best you can afford, which should give you the best in efficiency and cost. 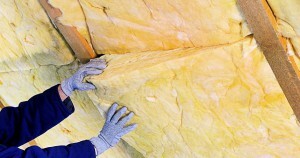 The R-value of the insulation will tell you how it performs. Higher R-values are better. However, they are also more expensive, so keep this in mind. You should do a little research on R-values and how they compare to each other. Basements can be a great source for heating and cooling loss. If your basement has concrete flooring, then it is a great source of air loss. You may consider carpeting with insulation. In addition, the walls should have some type of insulation. You can add in foam insulation for a quick and easy solution. Making your basement more insulated can result in major changes throughout the building. When it comes to commercial insulation, your choices will greatly affect the energy efficiency of your whole building. That is why it is smart to understand a bit more about your options and the different things that can affect efficiency.